There is no more appropriate picture for the Ryan Homes edition of the Braemar Property Value Report being published today than the one above. That was an Oberlin model that I sold as a Short Sale a few years ago. As a Top Braemar Real Estate Agent, I get plenty of gorgeous weather shots of homes, but not too many in the snow. That’s because not many folks list for sale in the winter months. First thing you may notice are the outliers at either end of the sold price spectrum: $440,000 and $615,000. Fortunately, the method of taking these four sales and compiling them with the entire past year’s worth of Ryan home sales, we get a more stable picture of what is happening with values by separating out six and twelve month data points. Stability leaps off the table in the sold price column. The six month average sold price is only $133 below the twelve month average sold price. Meanwhile the six and twelve month median sold prices are exactly the same. Really, Ryan homes have not gained, or lost any ground. Seller subsidy (closing cost assistance) seems to have decent trend happening when we look at the six month average falling below the twelve month average. Yet the six month median seller subsidy is the same as the twelve month median seller subsidy. Of course looking at two of the most recent sales above, they fall above both of the average and median seller subsidy Probably best to call this one stable for now. Days on market is a category that is going to be tricky for a while. In November, our region switched to a new MLS system which counts days on market differently. So until we have a full year’s worth of data in the new MLS, which would be this same time next year, we can’t conclusively say what’s what. However, glancing at the six month average and median values compared to the twelve month average and median values, I’m not seeing the increase in marketing time that I expected with the new MLS. If you placed your Ryan home on the market, priced to current conditions, you could expect it to be under contract and potentially well on its way to settlement within two months. You could also expect to pay at least half of one percent of the sales price in closing cost help. The next Braemar Property Value Report will be out in late March. If you would like to receive the full, letter size, Ryan Homes Braemar Property Value Report by email, send me an email at ChrisAnn@LNF.com. Of course, if the time comes when selling is in your future, call me for a free market analysis. Since 2005, No One Knows Braemar Better! If there was one mediocre weather event that I could get rid of, it would be days of strong, gusting winds. As much as I dislike rain, I would rather have that than wind. At least the sound of rain is soothing. The sound of a strong gust of wind hitting my house has the opposite effect. Might be time to get lost in my headphones with some good music playing while I present this Braemar Property Value Report detailing sales of Ryan Homes in our community. During our current reporting period, which is the months of September and October, there were four Ryan Homes sold in Braemar. Their sold prices ranged from $430,000 to $500,000 and are detailed below. Taking these most recent sales and placing them in with the last year’s worth of Ryan Home sales, we get new six month and twelve month data points that will give us some indications as to what is happening with home values and other data points important to Ryan Home owners in Braemar. Looking first at the six month average sold price compared to the twelve month average sold price, we see a drop in average value in the short term. The six month median sold price is also below the twelve month median sold price, but not by as much. Time will tell if this is a downward trend in value, or if this our market reaching a more stable condition. The seller’s market has definitely cooled. Better news is that seller subsidy (closing cost assistance to buyers) is down in both the six month average and median value compared to their twelve month counterparts. This means Ryan Home owners in Braemar are giving less in closing cost help to buyers. Days on the market, which I like to refer to as marketing time, shows a slight decrease in average days on market in the six month values compared to the twelve month values. The six month median days on market, however, shows a much more significant decrease in marketing time. Ryan Homes in Braemar seem to be selling a bit faster. If you placed your Ryan Home on the market, priced to current conditions, you could expect it to be under contract in a month or two. Odds are also in your favor that you could expect to give a nominal amount in closing cost help. The next Braemar Property Value Report will be out in January. If you would like to sign up for direct email of these reports when they are ready, send me an email to ChrisAnn@LNF.com with “BPVR Request” in the subject line. Include your property address, so I can get you the proper report, and the email address where you would like to receive it. Until January, if you find yourself in a position to sell in our year end market, don’t panic. There are many actually advantages to off-season selling. Give me a call for a free market analysis anytime. Since 2005, No One Knows Braemar Better! Another Braemar Single Family Home Sold! On July 20, 2013, I was out with a buyer-client in Braemar. We’d seen just about everything listed in Bristow under $450,000 and were not impressed. Either the lots were undesirable, the communities were less than appealing or the homes were outdated and attempting to take advantage of the seller’s market. No matter how much demand there is, buyers aren’t likely to over pay for a home. We were leaving a listing on Hopper Lane when we saw a For Sale By Owner sign. Out of curiosity, we called and asked the list price and if we could view it on short notice. The list price was $445,000. And the sellers were happy to let us see the home right then, on three minutes notice. It was a pipe stem lot. Nice and private. While modest in size, it had been well maintained. New carpet was just installed and the paint looked fairly fresh too. Even the deck had been given some TLC. The next day, my Buyer made an offer on the home. After a quick back and forth, all parties were in agreement. It was a cash deal and slotted to settle in two weeks. That’s a fast turn around! In the world of Bristow-Gainesville real estate, most deals close within an average of about forty days. 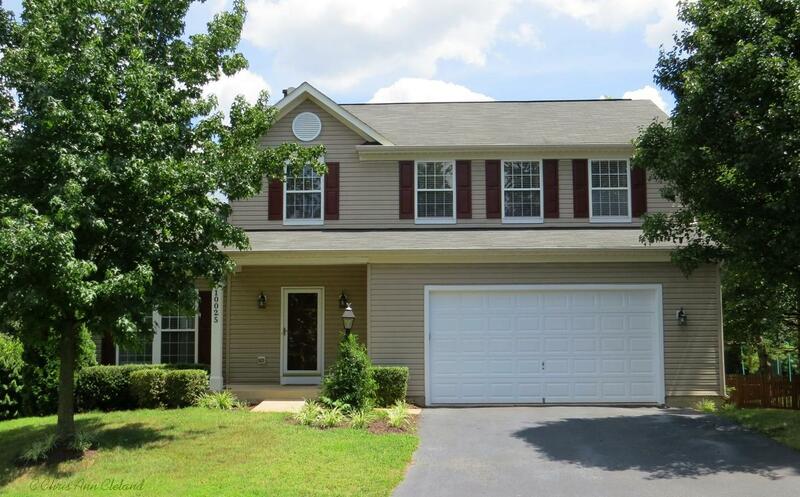 This Stanford model by Ryan, with four bedrooms, two full and two half bathrooms and a partially finished walk out basement, sold on August 5, 2013 for $437,500. If you know someone who is interested in buying or selling in Braemar, give me a call. No one knows Braemar better!